“I get no kick from Champagne, mere alcohol doesn’t thrill me at all,” while it is a great lyric from Cole Porter, while I enjoy his music immensely, I must disagree with the sentiment (out of context). This sung has been immortalized by Frank Sinatra, and it has also been immortalized on the silver screen by Clevon Little. October 23 is Champagne Day according to the Wine Lover’s Calendar, so yes I must speak of Champagne. Is there anything as festive as hearing the pop when a bottle of Champagne is opened? Picture the excitement in the dugout after winning the World Series and all that Champagne that is opened and poured freely on the players as well into glasses. 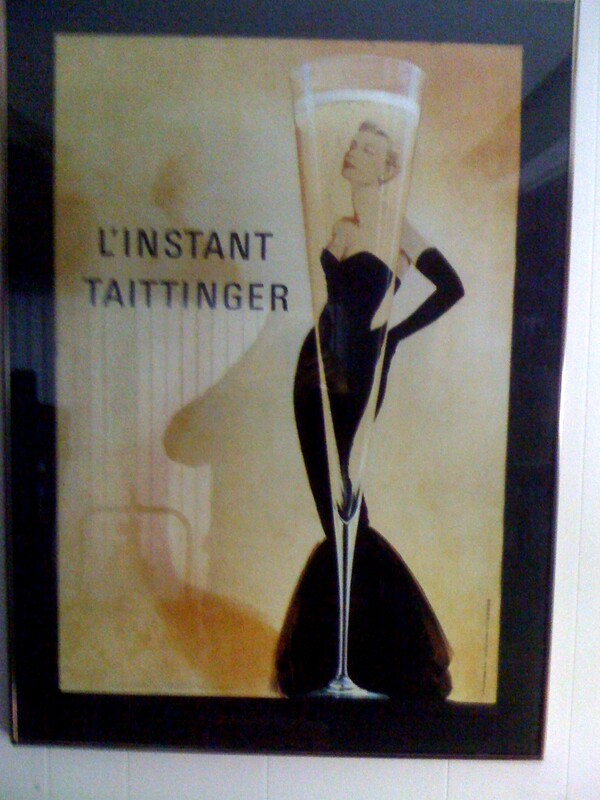 Of course Champagne, now and officially, only comes from France and rightfully so. What a grand discovery was made from the Benedictine Monk Dom Perignon, who is now immortal in the annals of wine making lore. 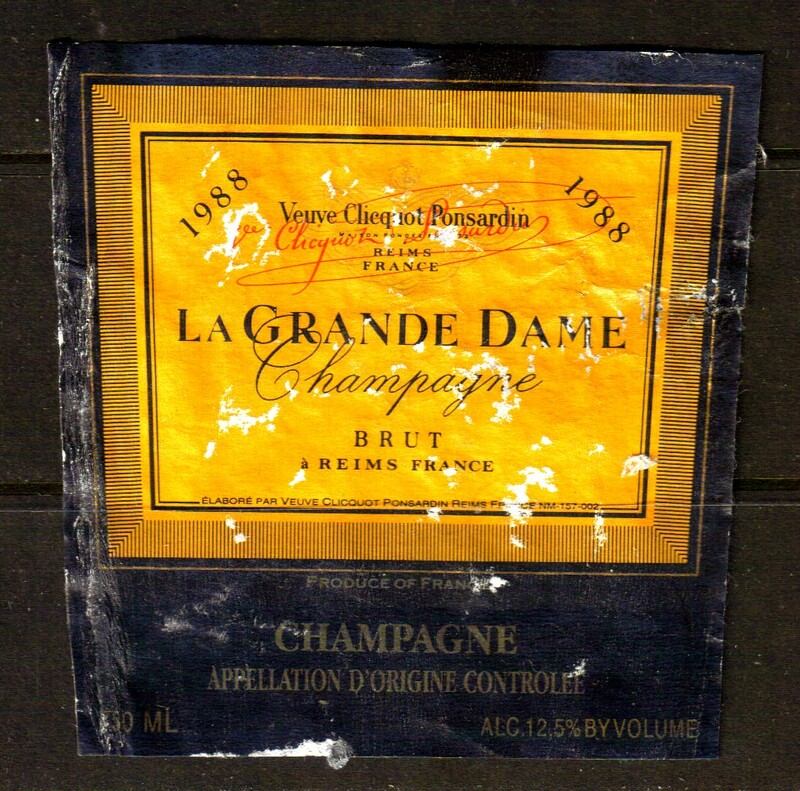 I have read many articles over the years about the intricacies and care that is required to make Champagne. I am not so learned to discuss these methods, but suffice it to say that they actually start pressing the grapes in the fields, with the ability to get fill many barrels of the juice immediately, and that the pressings and barrels are recorded for the initial grading of the juice for production. All of the Pinot Noir and Chardonnay that is required to make this heady wine, and I think that I read that there is like two hundred miles total of underground tunnels and vaults underground that has been carved out, just for our enjoyment. All the time that is required after the wine is bottled before the final determination of creating the different grades of Champagne, of which Brut is by far the most popular and most requested. Then there is that wonderful excitement when a vintage year is announced which creates such special wines and issues, because most of the Champagne put out by the houses are non-vintage. 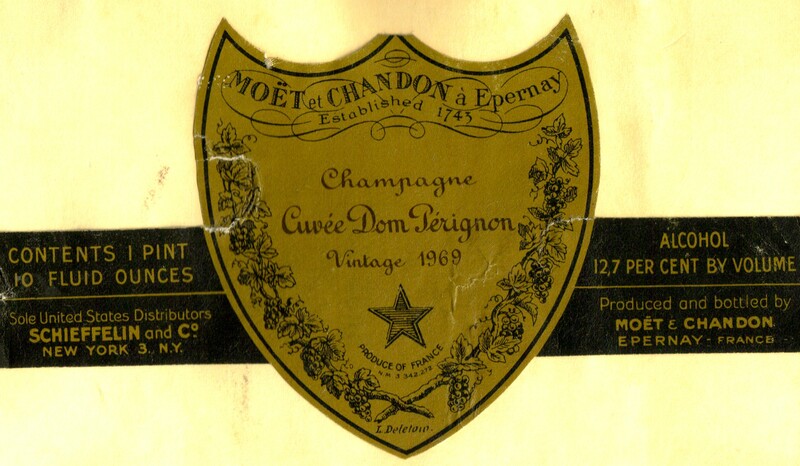 Then there is the danger to the employees that must handle these bottles that under pressure, that explode in the thousands each year; and I have read that there is a certain scent that permeates the air in Champagne that one notices upon arrival there, which I have never experienced. 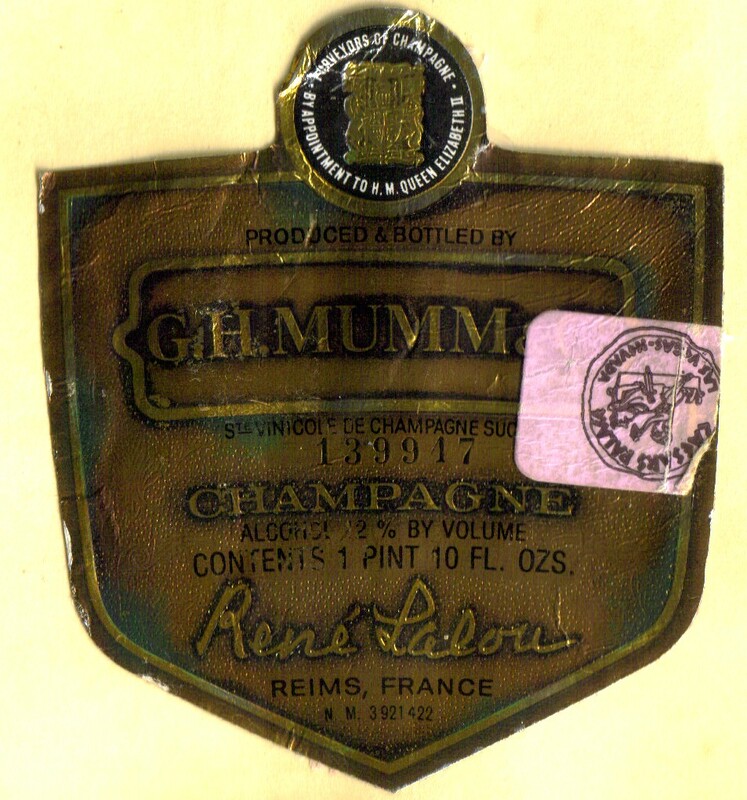 As I said earlier, only Champagne from the Champagne region can be called that, though in other parts of France there is sparkling wine being produced and whether made from Methode Traditional or from the new bulk methods, the wines are called Mouseux or Cremant. In Austria and Germany the sparkling wines are called Sekt. Then there is Prosecco and Spumante from Italy, while Spain is famous for their Cava. 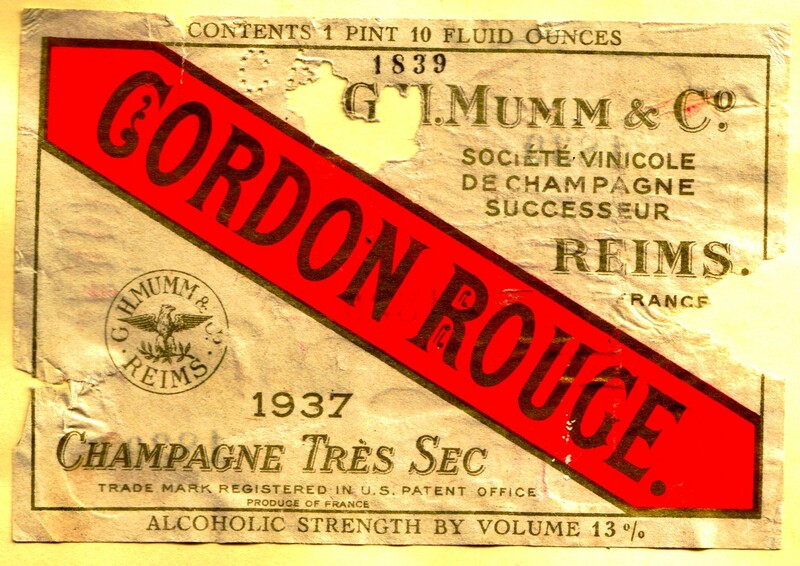 For years in North America, sparkling wine was called Champagne albeit with a modifier as in New York Extra Dry Champagne or Canadian Champagne, but the French demanded in the international courts that the word Champagne should be protected and only used for Champagne and not to be generic. 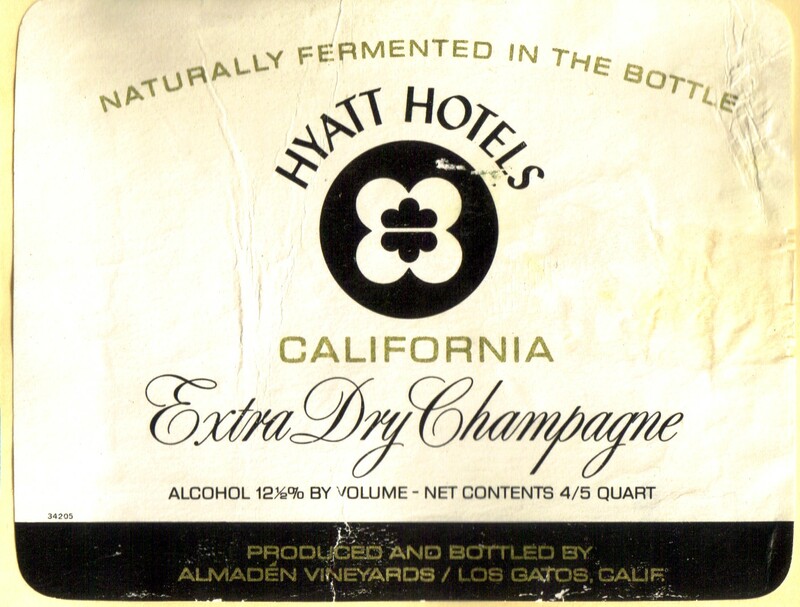 Here in the New World, the sparkling wines have either unique names and the best have the wording Methode Traditional on the labels to identify that they are made in the tried and true way. The best thing about Champagne is that one can make any event special, just by opening a bottle. One can celebrate anything achievement or goal, and sometimes it is just so romantic to just sit back and enjoy the wine, just because. In fact I think that I shall, because I have finished this article. This entry was posted in Wine and tagged Champagne. Bookmark the permalink. And the line was immortalized by middle schoolers in their production of Anything Goes that I music directed…. Not only does it make things special, it also pairs well with just about anything. John I agree, but then I do get a kick from Champagne. Thanks John! Decision made then, I will give the Dom a try! I am sure that you will enjoy it and have a great celebration.